Not all search results are the same. There are different types of Google Search results that users come across, and each has different factors that go into how a particular website will rank for it. When choosing any keyword to target for a website, it’s important to understand this and tailor a search strategy accordingly. So with that in mind, I’ll explain each of the 5 Google search result types I have chosen, how they differ and the best way to target them. This is the kind of search result all of you are most familiar with. What I call “standard google results” is your basic column with the title tags & meta descriptions of 10 websites visible. While plenty of ranking opportunities still exist (did you know that 15% of all Google searches have never been done before? ), standard organic search results are by far the most targeted among these different search result types. At 41%, it’s clear that the key to doing well with these standard organic results is backlinks (I’m including anchor text in this defition), which aren’t always easy to get. There are ways, but it takes time and a lot of effort to get good links, especially if you are in a more competitive industry. 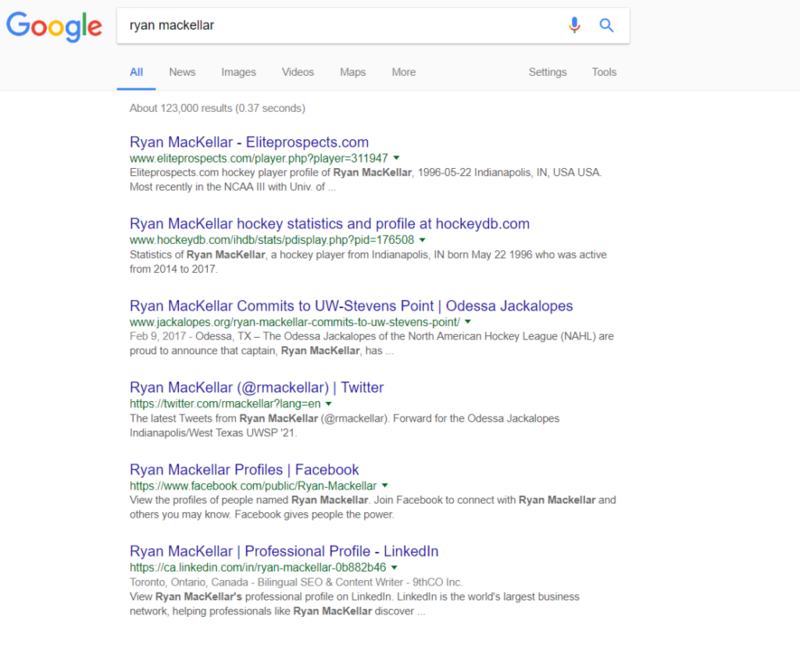 While backlinks are still important for the other kinds of search results described below, there are new factors that come into play. Personally, I’ve been struggling to rank well for my industry search terms, but by targeting a local block search result (see below), I was able to gain some visibility for my site. The local block is the easiest way for just about any website, especially newer websites that don’t have all that much domain authority, to rank well and get traffic. But this only works for local block results. So make sure your targeted keyword displays the map shown below, which have rankings visible below a Google Map showing certain businesses. How does Google give ranking priority to local block results? Here’s the general breakdown. This breakdown varies from the one above. The first biggest difference is the decreased importance of backlinks. While still number two, it has nearly half the overall affect on Google’s rankings compared to standard Google results. There are also 3 additional factors that don’t impact standard organic search results. In fact, these three types represent 45% of all ranking factors for local block! If you competitors aren’t actively optimizing these signals, there’s a huge opportunity for you to rank well in local block results. 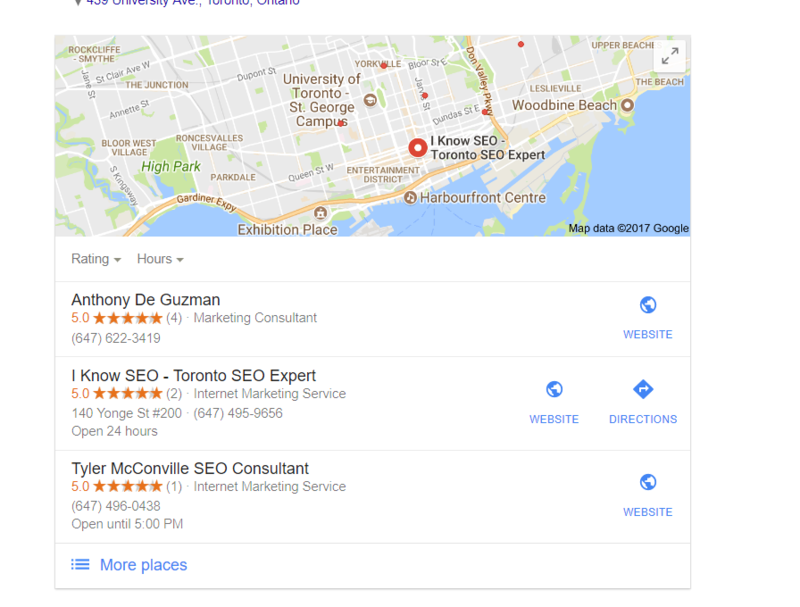 Without a Google My Business account setup, you won’t rank in the local block at all as it’s the main way the Google algorithm gathers information on your location. In order to set one up, you need Google to send you postcard to the address you are registering. Here’s more information on how to register your business. If SEO is on your mind, do this now. Citations are similar to backlinks except they are more important for sending Google positive signals about your location. Basically, there are all these websites all over the internet that allow you to register a local business with details like name, address, city and website. When building citations, it’s very important that all of your information be identical on every site. I mean exactly identical to your Google My Business listing. I always just copy and paste when my listing just to be safe. If you would like to know where you can get good citations, here’s a list of sites. You can go crazy doing all of these. Just stick to the top 20 and leave it at that. If you want to rank well in the local block, submitting some citations like these is critical. This one is self-explanatory. You need people to review your business on your Google My Business page. It’s important to get at least five. But on top of that, you want to try and get high authority reviewers to write something, not just your friends who have never reviewed anything before. For example, I’m a level 4 local guide reviewer and so a review from my account has a greater impact on local search results. In short, by focusing on these three factors described above, you should be able to rank well in local block results and get yourself the kind of traffic you want. But don’t forget: you need to pick a local block keyword type to target or these tactics become useless. Featured snippets are another kind of keyword. 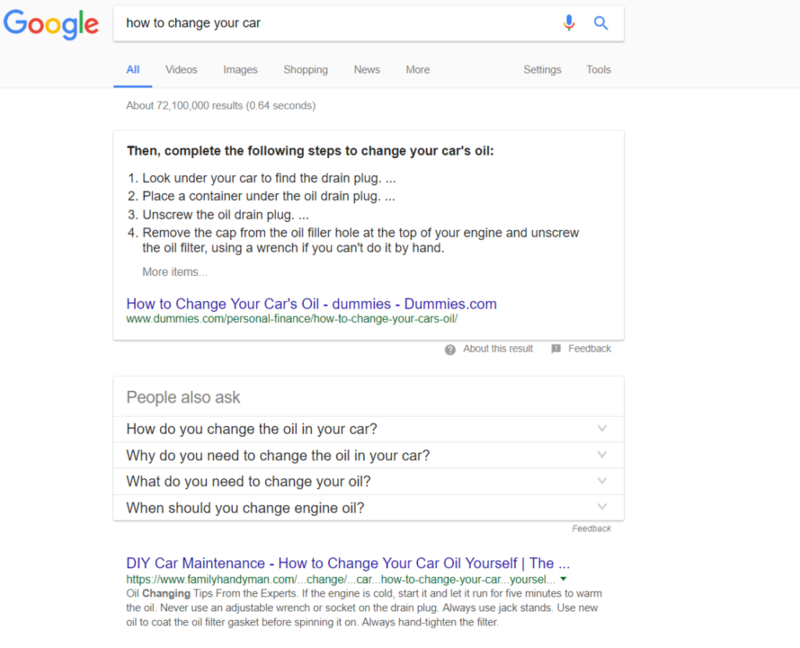 While they generally appears in search results for informational queries, featured snippets are good a way to boost your site’s visibility, authority and traffic. 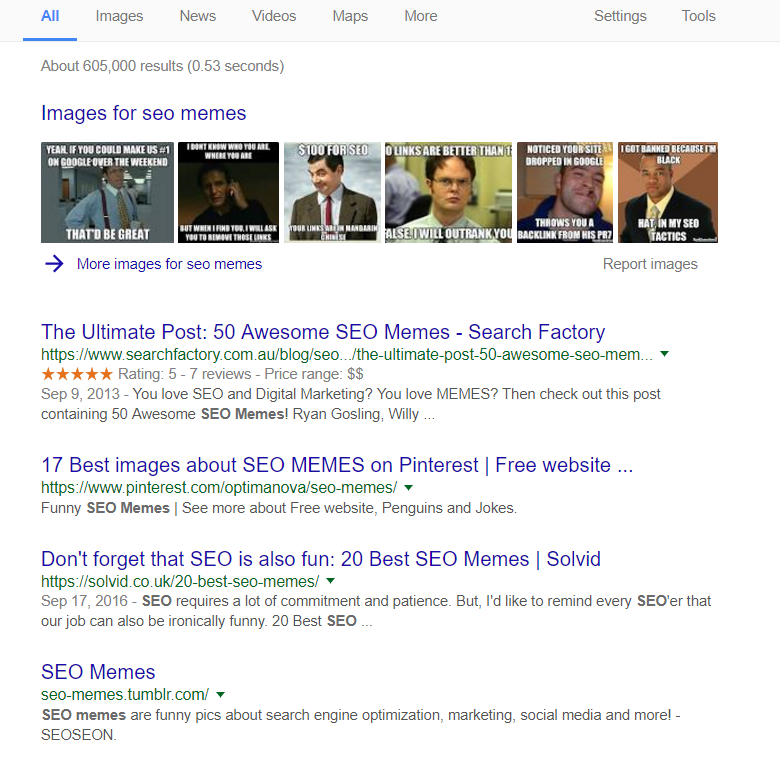 Here’s an example of what a featured snippet looks like. The best way to rank for these kinds of results is find a blog or informational page your website that is already ranking well for a keyword with featured snippet results. Ideally on the first or second page. Then you need to optimize it based on the ranking factors described above. This tactic can be a great way to leapfrog some of your competitors who have higher domain authority than yourself. 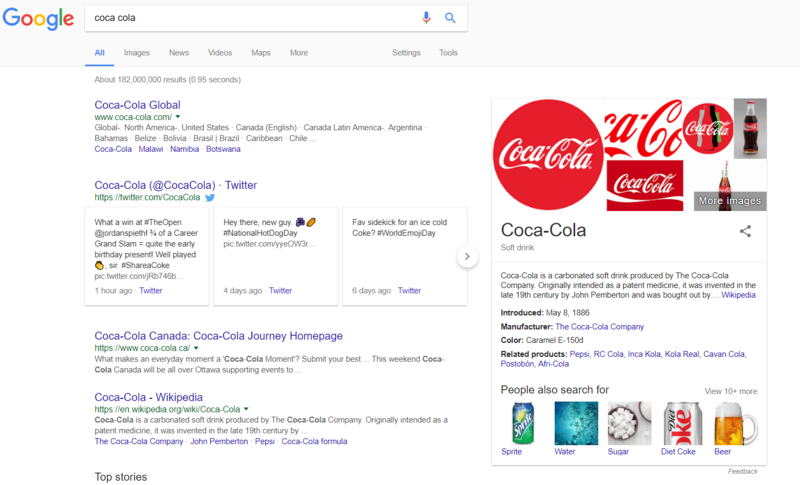 Indeed, tests have shown that Google will take results from as far away as the second page and feature it in the knowledge graph. So assuming your are targeting the right keyword that you have a reasonable chance to rank for, it’s all about how you structure the information on the page. Here’s some more information if you are interested in targeting it. A branded knowledge graph is when you search for a business like Coca-Cola or Google, it displays a whole bunch of other relevant information. Yes, above all else the most important way to get this kind of result to come up for your business is to have a wikipedia page. This is not as easy as it sounds, but it is doable. The general rule of thumb is that if your company is well enough for someone else to write a wikipedia page about it, then you should write one. The other two steps are a lot easier. You just need to go complete the Google verification process for your social profiles and add structured data to your website, which is as easy as installing a wordpress plugin. This is a subcategory of the organic keywords mentioned above, but I thought it was worth mentioning. Sites that optimize their website’s videos and images will see traffic come from these sources. It is often overlooked, which is why it can be a good way to get traffic on your website. There were more in the article I reference above, but these are the most important. What’s interesting was how poorly image title and alt-text optimization performed in his text. For images, it’s clearly all about the text around it. Hope you enjoyed this blog. Remember, there are lots of different strategies to get your website in front of eyeballs that your competitors may be overlooked. If you want more information or have question, you can ask me in the comments below or get in touch!